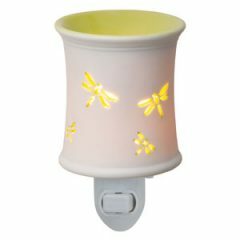 Adelaide Scentsy Nightlight transforms light into a golden glow, illuminating your home’s shadows in a most elegant and refined way. 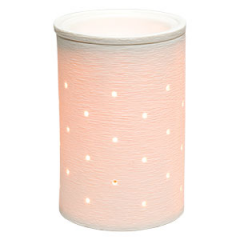 Cast a golden glow round your bedroom or bath for nighttime scent and security with the Scentsy Adelaide Nightlight. 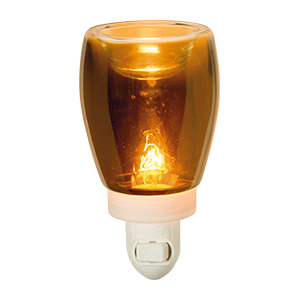 The amber colored shade turns the rays emanating to a glorious copper-caramel color, warming the room as it fragrances the air. 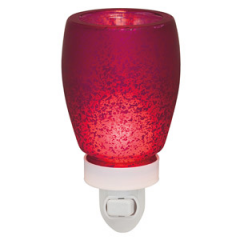 Perfect for living areas when you need a little light in a hallway or steps. 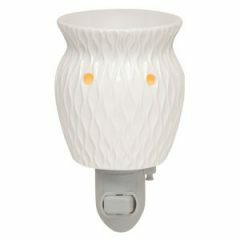 If you have been looking for a slightly retro warmer to light and scent a bedroom, bathroom or hallway Adelaide’s tawny shade renders a bright light bulb into a honey colored pulse point, leading you, family and guests safely through the shadows at night. 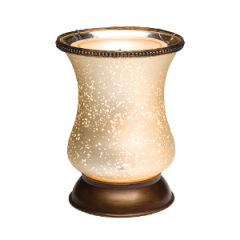 Memories of gaslights glowing are stirred when this warmer is lit, softly illuminating and scenting your world. 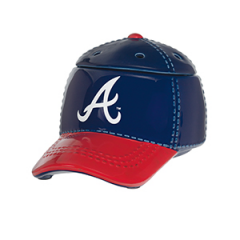 Compact and unobtrusive, this warmer can fit in where a larger warmer would not, allowing you to take Scentsy to every corner of your happy home. 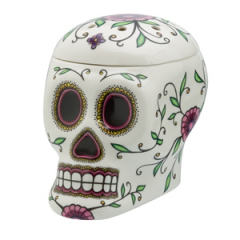 Works beautifully in an office as well, quietly improving your working atmosphere with a well chosen fragrance.